The United States has been using wet wells with submersible pumps since the early 1930s. But did you know that this same dated technology is still being used as part of our aging wastewater systems today? What is a wet well? A wet well is a round (typically), concrete cylinder, 8 feet or more in diameter and about 25 feet deep. Common in neighborhoods and city lots, wet wells today usually have two pumps (duplex) that are submerged to the bottom of the well. Wet wells are used to collect and retain raw sewage until a predetermined level is reached. Essentially, sewer pipes from surrounding homes and businesses use gravity to drain raw sewage into the wet well after flushing. The raw sewage is then pumped down and sent on to the designated treatment plant. It’s at this point that “the trouble with wipes” begins. Because all flushed materials eventually arrive at the wet well, if the wet well inlet uses a basket or screen to filter out the “flushables,” it takes manpower to pull the baskets, remove the debris and haul it away. Some wet wells get so stuffed with debris that they need to be serviced daily. What happens if the screens don’t catch all flushed materials? When materials make it past the screens, they end up on the impellers of the pumps causing the pumps to fail. When this occurs, a crew must be dispatched to pull, clean and sometimes completely replace the pumps. A receptacle for waste, it’s no surprise that wet wells produce Hydrogen Sulfide (H2S), a toxic gas that causes corrosion of the equipment in the wet well. In fact, raw sewage in dated wet wells often produces H2S, as well as other unpleasant odors that are detectable in the surrounding neighborhoods or nearby treatment plants. Do other parts of the world experience these same issues? The same pump clogging issues that are being experienced in the United States today were addressed and resolved years ago by a French innovator, Stephane Dumonceaux, founder of S.I.D.E. Industries and the revolutionary DIP System®. In fact, the first DIP System® was patented, installed and proven successful back in 2003. Since then, more than 1,200 systems have been purchased by municipalities throughout France (as well as Disneyland Paris) with many more to come. What’s so special about the DIP System®? The DIP System® pumps clean themselves automatically, without human intervention. 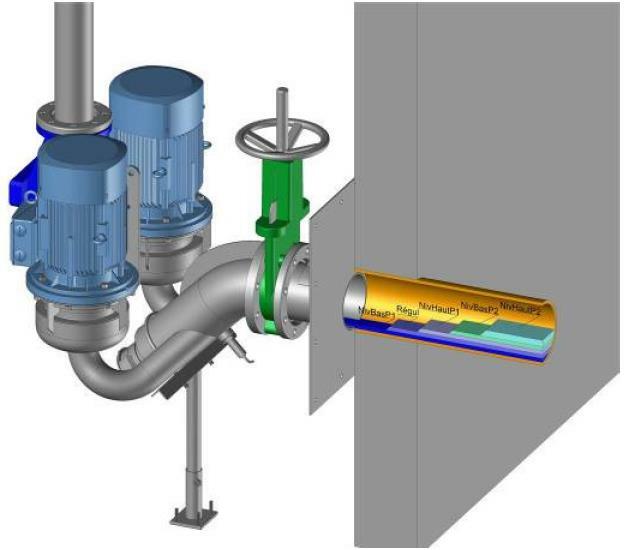 This system even eliminates the need for a valve vault entirely, as the DIP system® pumps directly from the effluent invert. This innovative wastewater pumping system shreds through solid and fibrous bodies such as cans, plastic bottles, wipes and even jeans — effortlessly — allowing for uninterrupted flow through the system. This incredible reliability is an undeniable asset as it saves substantial time and dollars for municipalities. Now that’s what we at C&B like to call Uptime Solutioneering™! A level sensor measures the inflow continuously while regulating the speed of the pump motors. This automatically adjusts the electrical power required, eliminating energy waste. The DIP System® has been designed to fit specifically and perfectly for this kind of operation. It is made of non-corroding stainless steel for sustainability and was specifically designed to easily manages high levels of flow fluctuations. If inflow is below minimum pumping level, pumping is done intermittently. In case of no flow, the system will cease operating completely. How easy is it to make the switch to the DIP System®? It’s incredibly easy to convert your existing lift stations to the DIP System®. Simply clean out your existing wet well and install the new DIP System®. No tricks, no gimmicks, just pull the old one out and put the new one in. Being one the first in the United States to recognize the value of this system, C&B Equipment has developed extensive knowledge and expertise that enables us to ensure that each end-user gets the most out of their system. 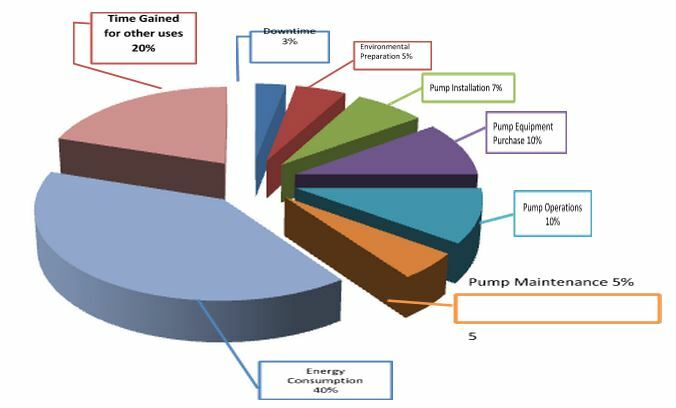 These end-users recognize the benefits that accrue to their ratepayers and the improved management of their wastewater system. To get specific information or an answer to a question to meet your application just call or email. 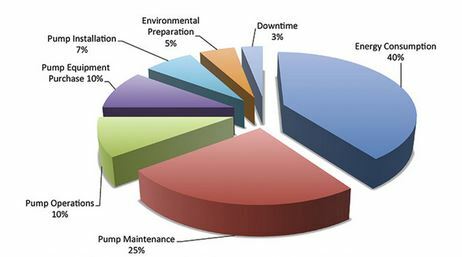 What could you do with 20% more productive time per lift station? This cost may even be reduced.